Having a car is a necessity these days, especially if you are living in a place without solid public transportation. When your car has broken down to the point it is beyond repair, you may have to take out an auto loan to finance a new one. If you have bad credit, qualifying for an auto loan is difficult. However, you still have plenty of options to help you buy that new vehicle. When you're in the market for a new car, ask yourself if it is a necessity or a luxury. If you are struggling with bad credit and you know you can use other modes of transportation, buying a new car should not be at the top of your list. Instead, you can work on rebuilding your credit for several months while using public transportation or carpooling. However, if you don't have any other means of getting around, a new vehicle might be just what you need. Your FICO® score is an extremely important factor when it comes to taking out a loan. Even with a steady stream of income and a savings account, getting a loan with a bad credit score is difficult. Any negative strikes against you make lenders much less willing to lend to you. Before applying for a loan, you should first check your credit score. There are several ways to do this for free online, but keep in mind that some of the scores you receive may be based on a different scoring model and have a slight variation from your actual FICO® score. The credit score you need to qualify for a loan depends on where you to take out a loan. Most lenders give you a loan if you have a score over 650. If you find that your credit score is too low to obtain a loan, you can take some steps to improve it. First, you can get a yearly copy of your credit report for free at www.annualcreditreport.com. Your credit report is different from your credit score and summarizes your financial history, which includes debts, credit lines, and any missed payments. You can compare the information on your credit report to copies of your credit card statements. Verifying this information is important since around 20% of consumers have reported incorrect information on their credit report. If you find any incorrect information on your credit report, you have every right to dispute it yourself by sending the bureaus a letter with your dispute and documentation (they have 30 days to respond to your disputes or they must remove the item) or hire a credit repair service. We recommend using a credit repair service over DIY credit repair since it will result in the removal of more inaccurate items that can boost your credit score and allow you to take out a loan with lower interest rates. Aside from the mistakes you find on your credit report, you can try paying off extra debt or any collections accounts. You may also consider taking out a credit builder loan or a secured card to build your credit. These cards are funded by your own deposit and allow you to build your credit by making timely payments -- you can get your deposit back when you have paid off and closed your account. If your card issuer reports to all of the major credit bureaus, you have the chance of improving your FICO® score. Even a few months of credit building could help you qualify for much more ideal loan terms. You may have to delay taking out a loan, but it will be worth the lower interest rate. 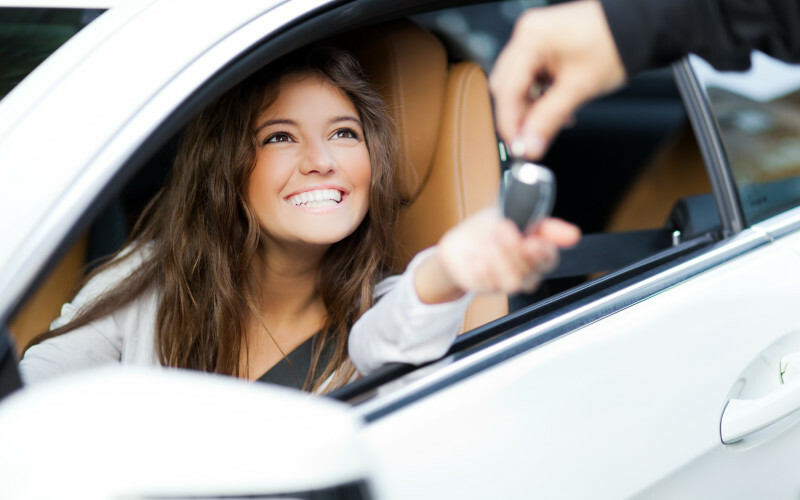 An auto loan makes financing a new vehicle much easier. It's especially useful if you need a new vehicle very quickly. Unfortunately, if you have a low credit score, your interest rates will be sky high and the total amount you pay in interest over the repayment period could have paid for your car in the first place. A great place to start looking for a loan is your local bank or financial institution. Because you have an established history with them, they are more likely to give you a loan. If you have on-time payments, a steady stream of income, and a savings account, this already gives you an advantage since your lender has an inside look on how you manage money. In addition to auto loans, you can also search for personal loans online. Many online lenders specfically cater to borrowers with lower credit score. Online lending allows you to find out almost instantly if you are approved for a loan and shopping around with multiple lenders helps you find a better rate than through an auto dealer. With bad credit, your interest rates will be high but not as high as what you would find with a car dealership. When you are applying for your loan options, avoid submitting too many applications. This can affect your credit score negatively since each time a lender pulls your credit report, the inquiry knocks a few points off your score. However, if you shop with a two-week time frame, these inquiries may only count as one. Take some time and shop around for the best loan terms. Try to get preapproved by a bank or credit union before even considering an auto dealer. This preapproval process lets you see if you qualify for a loan and how much you can receive from a potential lender. If you can’t get a preapproved by your bank, you can look at a car dealership, Dealer Financial Services Groups (DFSG), or finance companies. They may connect you with their own lenders, but these interest rates will be much higher. Before going to your lender, you can research the interest rates for current auto loans by looking up the lender's auto lending rate sheet and comparing them to the rates that you offered. You can discuss your credit history with your lender if needed. In case they are concerned about a negative item on your credit report and quote you a high interest rate, you can attempt to discuss the issue with them and see if they are willing to lower your interest rate. Be careful not to shop around too much though -- each time a lender looks up your credit history, your FICO® score suffers. Multiple inquiries can damage your credit greatly, but luckily, if you shop around for loans during a 2 week time period, those many inquiries will only count as one. Before dealing with any lenders, make sure you do your research and make sure they are reputable and will not force you into any high-interest or predatory loans. If you take out a loan from a bad dealer and miss a payment or two, that may give them grounds to repossess your car. These repos come with added fees that you won't see with a reputable lender. Finding a cosigner -- like a trusted friend or family member -- is another option for those struggling with bad credit, have a low income, or have a high-debt to income ratio since it allows you to qualify for a better rate if they have better credit than you. Unfortunately, cosigning a loan affects the credit scores of both parties and requires your cosigner to make payments on your loan if you fail to make them. This can be risky and you should consider this as a final attempt due to the fact that it can affect your relationship with your family member or friend. Although a low credit score results in high interest rates, steer clear of lenders who offer payday loans and any other type of loan with predatory rates. While you are shopping around for a loan, continue to keep your credit behavior positive by avoiding late payments and not adding any new credit lines. Generally, shorter loan terms have lower interest rates, which means that you will pay much less overall. If you are sure that you have the finances to back larger payments, choose a short-term loan that allows you to have a lower interest rate, but if you have any doubts about being able to make those payments, a long-term loan will be a much safer bet. Choose loan terms without prepayment fees that let you make additional payments when you have extra cash in order to pay off the loan faster. Some states offer non-profit agencies that provide auto loans and personal loans to consumers with low income. It's worth speaking to one if they are available in your state. Don’t plan on purchasing an older vehicle with the expectation of trading it in a couple of years. This results in your old loan balance being added to a new loan and your repayment term being extended. Newer vehicles tend to have better financing and lower interest rates than older ones. However, if you find a good deal on a used vehicle, you should carefully consider the pros and cons before making a decision. In case you absolutely have to trade in your used car, you can try to refinance your loan at a lower interest rate. Taking out a newer vehicle will result in a loan with a much higher interest rate, but a newer car will generally last longer and save you the trouble of taking out another auto loan again in the near future. Dealerships may offer add-ons (like paint protection, a sunroof, clear coating, extended warranties, and a speaker system) that will result in extra costs to your vehicle’s final price. However, if there is an add-on that you deem absolutely necessary (such as blind spot detection or keyless entry), you should certainly consider it -- just don't be convinced by a salesman that you need to add any unnecessary features. If you can wait a few months before purchasing a new car, save up as much as you can before taking out a loan and use your savings as a down payment in order to receive a lower interest rate. Any money you have invested in your car will help you from defaulting on your loan in case you are in an accident before your car is paid off. The value of your car will depreciate as soon as you buy it so even if you sell it later, you won’t owe any more than its value if you have paid off most of it. Look up reviews on the dealership before you go. Some dealerships offer on-site financing that may take advantage of consumers with poor credit. Make sure the vehicle you are buying is in good condition. You can check sites like Carfax to look at the history of a used car. Before signing your auto loan and driving your car off the lot, read the paperwork carefully to make sure that you agree to and understand the correct loan terms that you verbally agreed to. You should also watch out for prepayment penalties and pre-calculated interest. Make sure you leave the dealership with your financing completely finalized. In some cases, if you leave the lot in your new vehicle without the finalized paperwork, you could be told that the original terms weren't approved and be hit with a much higher interest rate. Make sure that you make your payments on time, which can benefit your FICO® score over time. If you are able to, try to pay more than your minimum payment so you can lower the number of total payments over time. This can save you hundreds in the long run. If your credit score improves over time, you can consider refinancing your auto loan in the future. Ask your lender about your options and aim to refinance your loan once your credit gets better -- you can save hundreds or even thousands of dollars in the long run.